This the last post in a series about our Disney Cruise on the Wonder in October 2014. To check out the other posts in this series, click here. 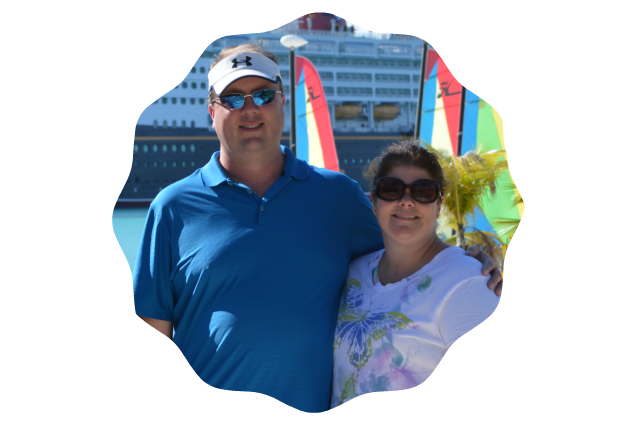 Our kid-free time on the Disney Wonder was exactly what we needed. Four days was just long enough to actually feel like we were on vacation without being away from the kids too long. It was long enough to totally indulge in everything we could think of (too much food, drinks, down time on a lounge chair staring blankly at the clear ocean, reading books, “time” together, you name it) without feeling too gluttonous. Exceptional service – Our service from every Wonder employee was wonderful. I got teary on our last night with our head server in the dining room. He cared for a few tables in our area and while we weren’t seated with any children, it was fun to hear him interact with them. They were begging for his attention because he kept things fun! He would give them an assignment, “Collect all of the butter on your table and put it in this bowl. I’ll be back in 90 seconds to delight you.” The kids would scurry to complete their task and be waiting with anticipation for his return to see what he had in store. In the meantime, he’d take an hour, deliver something, or chat with others. By the third night of our cruise, he would just bring us extra things. “I see you had a hard time deciding which dessert, so I brought them both.” On our last night, he brought out an extra steak filet for us. I would never have asked, but I ate it and it was goooood. Our servers name was Claudius and he was the best! Opt-in to the Disneyness or don’t – When you’re on a Disney cruise the theming is everywhere, but what we liked is that you could opt-in or out as much as you’d like. We only went to the big theatre to see shows twice. We saw Toy Story and a comedian. The other two nights, we just enjoyed some quiet time at the pool. We’ve been there, done that, when it comes to Disney shows filled with characters. We love them, we just didn’t feel badly about skipping them. 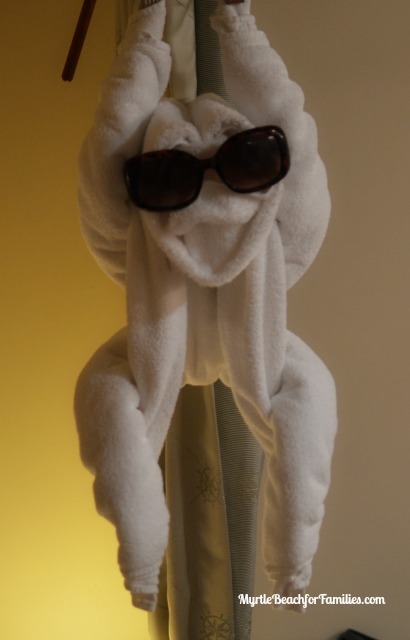 There are character visits scheduled all the time on the ship. If you want your picture taken with Mickey and Minnie, you’ll get that chance. If you don’t, keep walking. Pirate Night was fun and we loved the menu and fireworks. We skipped the deck party scene though. It was crowded and kids seemed to be melting down all around us. It was the third night and a little late. Our own kids would have been whiny. We stuck around for just a short time and then went in search for other things to do. And that’s exactly what I meant by you can opt-in or out. If you’re dying to take in some Disney, it’s there. If you’re not, you can get away for a bit. We did a far amount of both! Leaving the ship – On the day we returned to port, we opted to carry our own luggage out, rather than have it taken down to the dock for us. Exiting the ship was very quick and only required a brief conversation with a customs agent. We had nothing to declare (liquor, jewelry, other items over a certain value) so this process was a breeze. Within seven minutes of walking off the ship, we were putting suitcases in the car. Disney Cruise Line, thank you. Thank you for giving this couple exactly what we needed. While we can’t wait to return with our children (being totally honest, I have no idea when that will be given the price), we had a fantastic adults-only experience. While we were in the company of other people’s children on deck, at shows, and in the dining room, there was something about being able to appreciate their cuteness and not being expected to deal with them when they were less than adorable. When we wanted kid-free time, we had the adults-only areas, lounges, restaurant (which we did not visit, but knew it was an option), and our stateroom with that awesome veranda. If asked, I would recommend a Disney cruise for any traveler. I won’t be able to return soon enough!